This week has some promising books. Not as many Killer B covers hitting shelves but there is a pretty cool looking Green Arrow cover B by Francis Manapul. Sean Murphy contributes his talent on a really cool Batman cover B but I’m lazy, it’s a turn the cover sideways to view. I hate when covers make you turn your head or turn the book to view. We’re getting an Old Man Quill (Because Marvel has run out of ideas, I’m sure we’ll eventually have Old Man or Old Woman <insert character here> on just about all their main characters). We’ll cut Marvel some slack though, for now. The one that’s already selling out at online retailers and started creeping up in price before release day is the new Harley Quinn #58 cover B by Derrick Chew . It’s a cool cover but it’s also a bit too noisy for me and my own personal taste. It’s also a bit too computer generated for my tastes as well. I get the style though as it’s totally got that Japanese Pop Culture feel to it. I also mentioned there’s a sweet looking Green Arrow killer B cover for issue #49 that shouldn’t be overlooked. I don’t think this will heat up but for you Arrow fans, certainly a nice looking book for the personal collection. Daredevil gets another reboot. Pick the cover you like (Just go with Cover A, it’s got a sweet Tedesco cover anyways). Another Immortal Hulk hits stands quickly with issue #13. Is this series bi-monthly now or still monthly, seems it’s only been two weeks since the last issue. 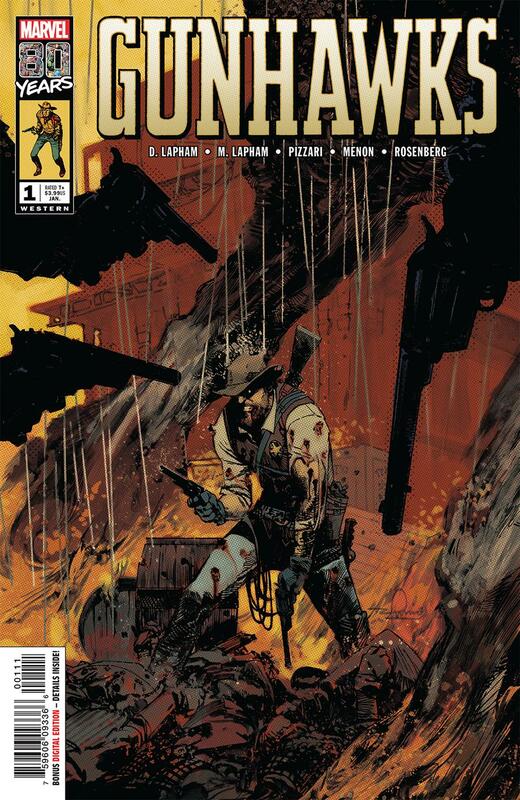 My actual pick this week goes to Marvel’s 80th Anniversary, digging through the vaults issue titled Gunhawks One-Shot. Guns, blood, violence. Sign me up. This issue looks great. The other pick is the True Believers Captain Marvel Ms Marvel #1 . Not to be overlooked and these are cheap gambles. Even if they never go above their $1 price tag, you still win and didn’t break the bank buying them. 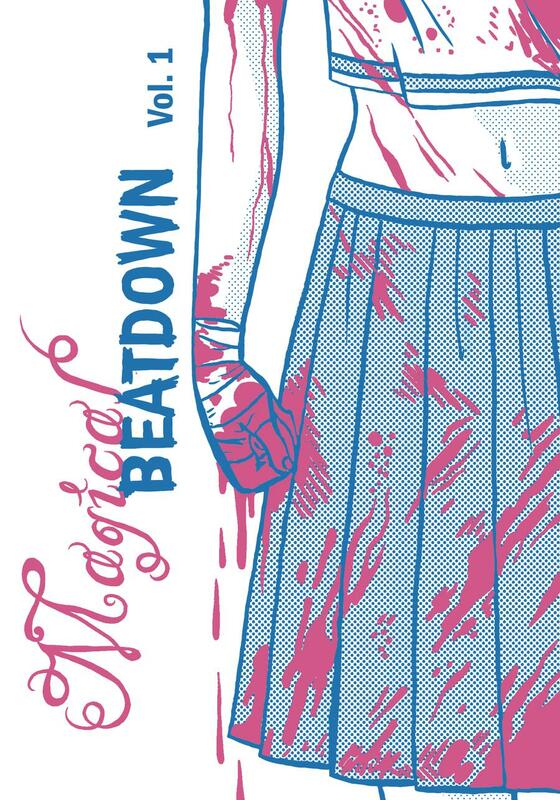 Partly picked due to it’s awesome title, Magical Beatdown #1 from Silver Sprocket just sounds like it could be a whole lot of fun. Nothing beats a good beat down right? It’s got a $6 price tag and I bet most if not all retailers skipped past this one. So I expect a really small print run for this one. Let’s just make a random #11 issue, double it’s size and price, throw in 9 extra variants and call it a day? I’m talking about Uncanny X-Men #11 that hits stands this week. There better be the baddest, bestest first appearance ever in this issue or I’d call this the biggest marketing gimmick ever by Marvel. I hopes this is not a new norm or trend by Marvel. Randomly print extra pages in a upcoming issue, call it a over-sized special issue, double the price on your customers to squeeze out a few more profits? If you want to win over your readers Marvel, that’s fine if you want to make an issue over-sized but don’t force your customers to double pay for it. 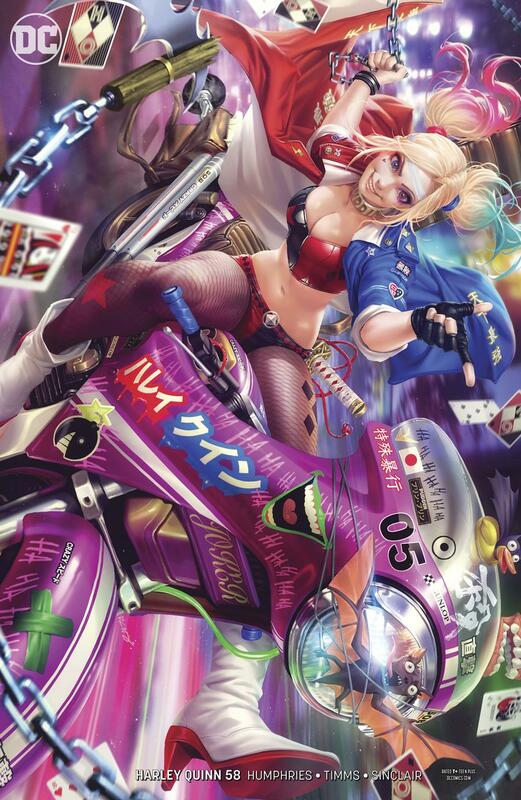 It is a lot going on in that Harley cover. 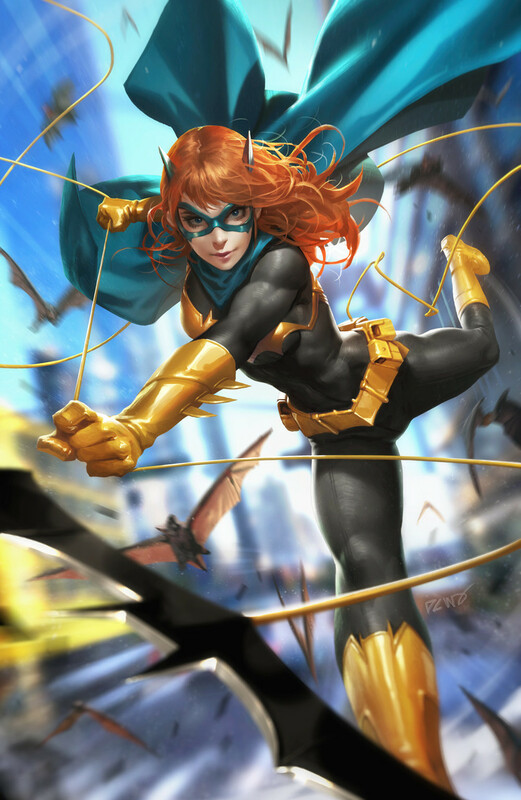 His Batgirl #32 is way better if you ask me.